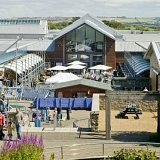 North Devon's natural wonders are outstanding on a dry days but there are plenty of places to visit and things to do to keep you and your family entertained if it rains and you don't fancy getting wet! Release some of that pent up energy at Barnstaple's very own Trampoline Park. Explore the park and experience 8 adrenalin fun packed areas. Jump to the latest tunes or visit after dark for a Twilight Disco session. 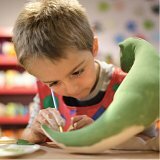 Suitable for all ages, 'Paint a Pot' pottery is a fantastic place to spend a few hours creating your very own unique piece of pottery. 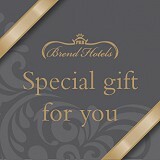 If you are on holiday the finished product can even be posted home to you. Open 7 days a week 364 days a year, Atlantic Village Outlet Shopping Centre has over 30 stores offering up to 50% off rrp and it's also home to the Atlantis Adventure Park, meaning that there is something for the whole family to enjoy. 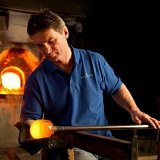 The visitor centre gives you a unique insight into the world of glass making and Dartington Crystal, watch the master engraver demonstrate his talent to create unique works of art in glass. 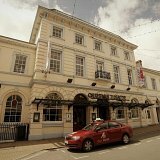 Located in the centre of Barnstaple the Queen's Theatre is a friendly and welcoming 680-seat theatre. The Queen's high quality programme of professional and community events includes around 300 performances per year including music, drama, comedy, dance, musicals, film, children’s shows and pantomime.